My insane love for photos has led to the continuous increase of cameras that I have. Currently, I own three cameras: a Nikon D5100, a Nikon 1 V1 and a Nikon Coolpix S6200. Yes. I seem to be growing a mini Nikon family of cameras here. It wasn't really intentional since the Coolpix was just a freebie when I got the V1 recently. I was actually set on getting a pink J1 which I blogged about here, but the free vouchers and free digicam lured me into upgrading to V1 instead. Unfortunately, I have to admit that I am in no way an expert when it comes to photography. In fact, I think I know very little about it and my ultra crappy shots can attest to this. I still have a lot of learning to do to even be considered okay. I initially planned on joining a photography club based here, attend workshops or something just to learn the basics but my shyness (I don't have steady hands too) always gets the best of me. Maybe someday. I hope. 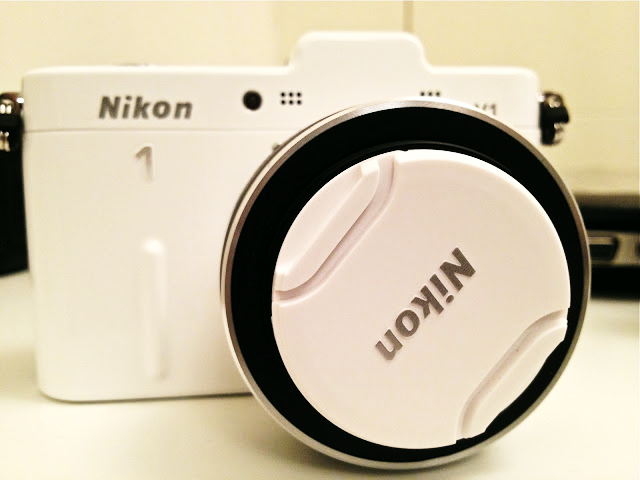 My white Nikon 1 V1. Aside from the free digicam and store vouchers, its electronic viewfinder with its higher LCD screen resolution was the reason I purchased it. 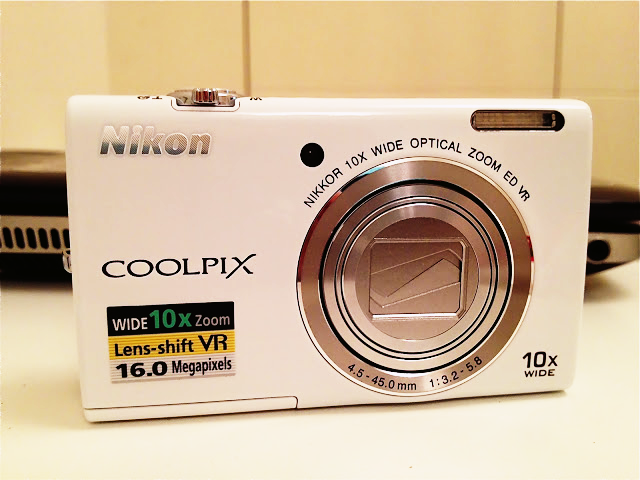 This was the Coolpix digital camera that came with the above as freebie. I always carry it around with me. It's also white, compact and really cute. Not bad for something you got for free, right? 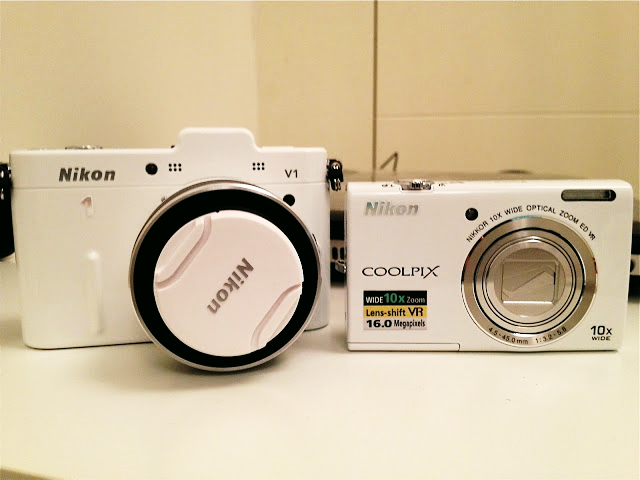 These are the V1 and the Coolpix side by side. I'm really digging their white color a whole lot! I decided not to get the pink one I originally wanted. I think this is me finally growing up. Haha! 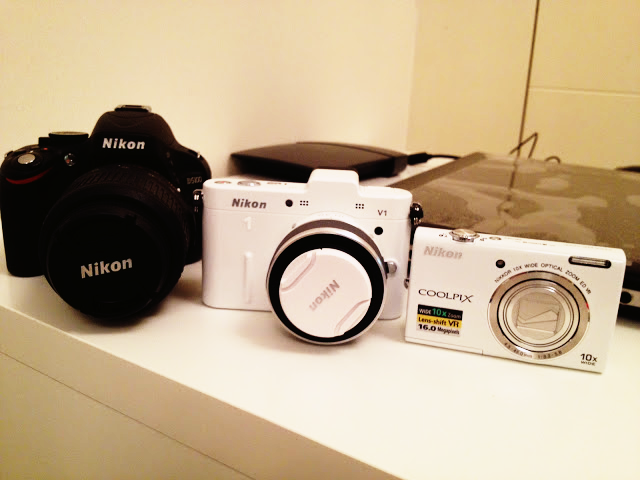 Now meet my growing Nikon mini family! All three of them together. Aren't they adorable? I really envy those people who have the talent to take awesome photos. I hope someday I learn the know-how too in order to put these cameras to good use. Do you love photography too? Any advice you can share with an aspiring photographer like me? I would really appreciate it. When you're making a nikon family, I'm making a canon family.. lol! not much difference really. if not for the free camera i think i would have thought twice about getting the v1. like i said it has an electronic viewfinder and an lcd screen with better resolution, but that's it. i was even told that the j1 already has a built in flash and the v1 doesn't. you need to buy it separately. I am a Nikon girl to the max, so I hear ya!! !